to consider when thinking about your website and planning it out. The domain name is the www.mywebsite.ca part of your website. It's not always possible to get the one you want, but this article will give you some ideas and guidlines. 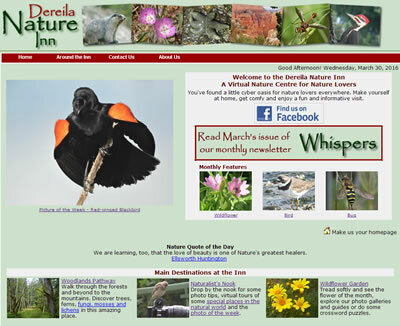 Featured site from our portfolio - Dereila Nature Inn - Wildlife Centre - Click to visit.